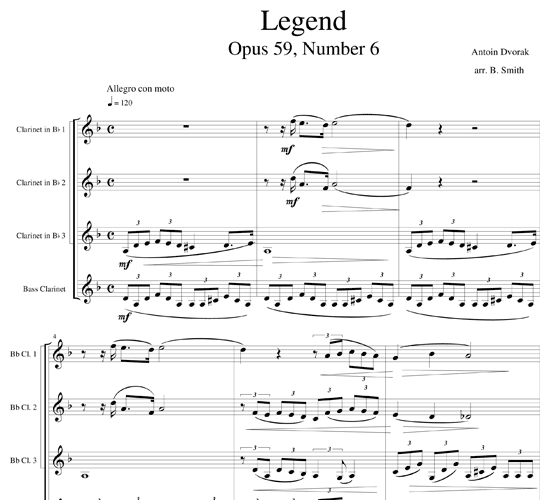 Dvorak wrote Legends around 1880 as a four hands piano suite comprising ten individual short pieces; this is the sixth. . His publisher (Simrock) was so impressed that he asked Dvorak to convert a few of the Legends into orchestral scores, a task Dvorak completed for all ten before 1882. 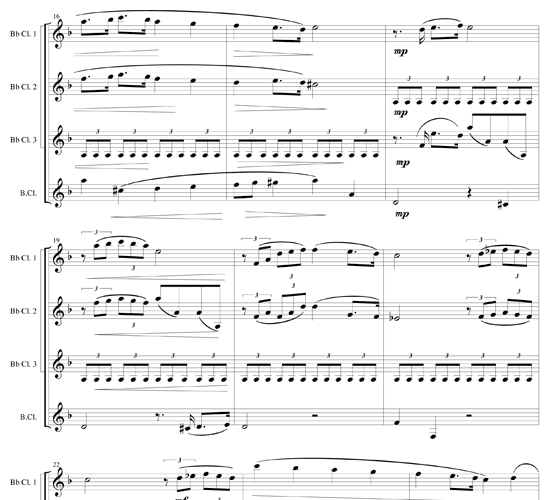 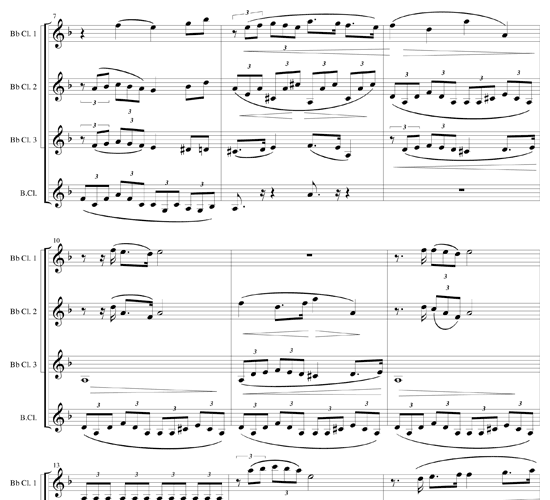 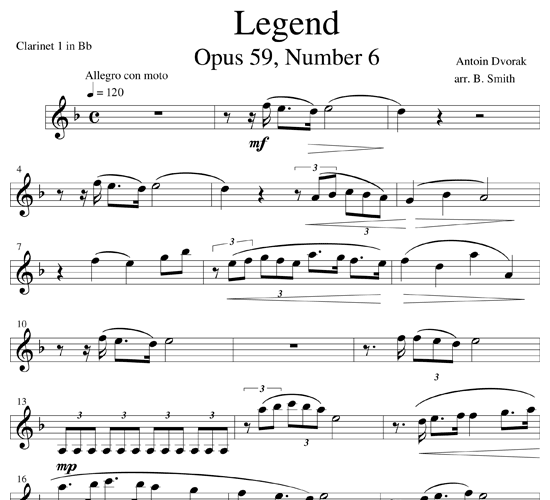 Authorities on Dvorak have speculated that these are actually musical descriptions of legendary Catholic saints, however Dvorak never acknowledged that they were (or were not). 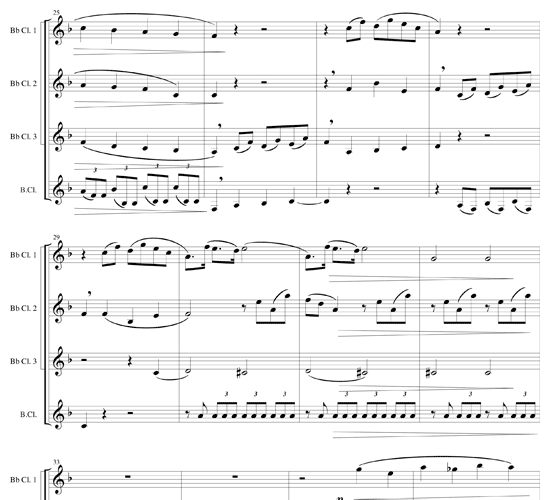 Still, it’s interesting to speculate as to which saint each piece represents. 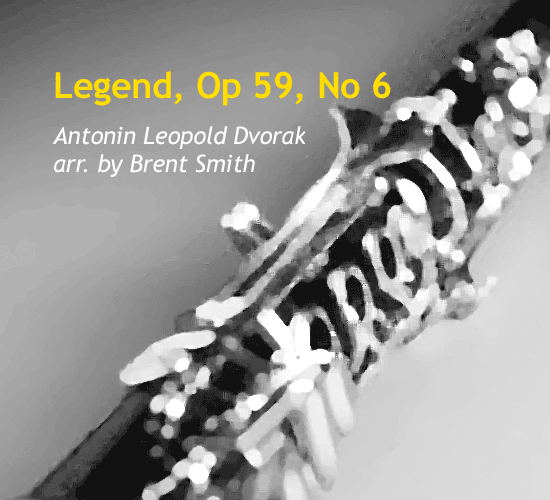 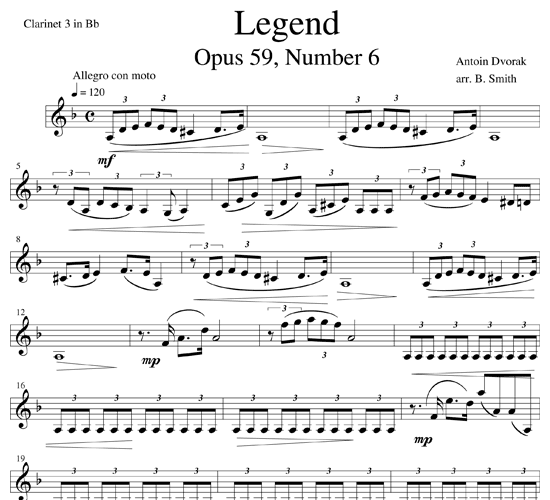 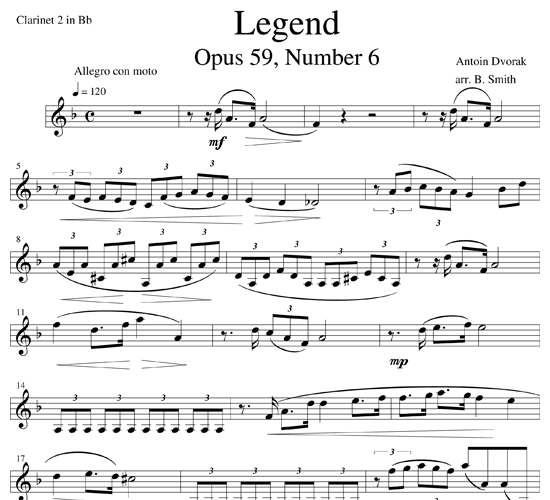 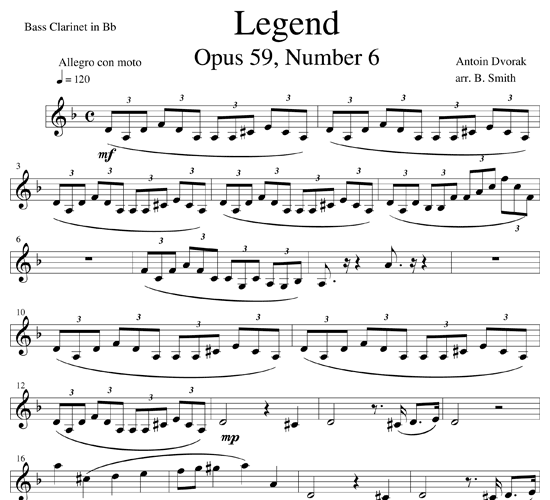 Legend Number 6 has a rolling triplet ground in the bass clarinet with delightful melodies and harmonies among the three Bb clarinets.